Class A Advanced St. Lucie has scored 39 runs in its past three games, and a large part of that has to do with what manager Luis Rojas has gotten from the bottom half of his lineup. "That's a blessing for sure," Rojas said. "To have the tail of the lineup doing what they are doing, producing to bring back the top of your lineup, to hit with runners on base, it's been a big factor to why we are manufacturing so many runs the last few games. For guys like [Wuilmer Becerra] and [Jhoan Urena] to hit like they have been, guys feed off that, and it's a good combination to see." 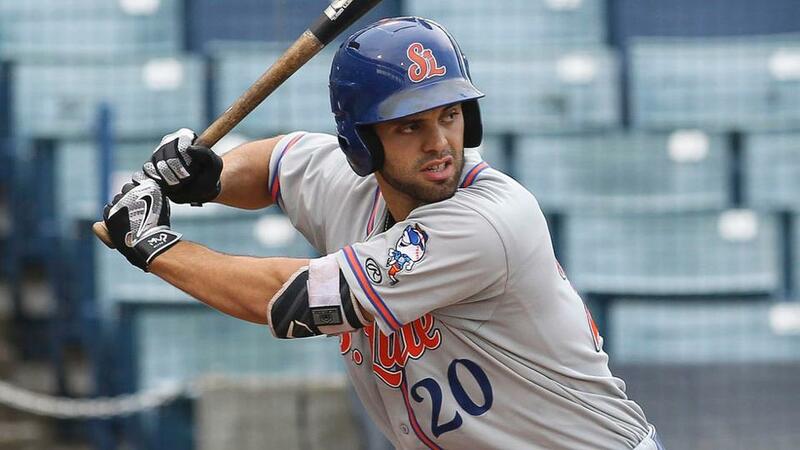 Becerra, the Mets' seventh-ranked prospect and No. 11 Urena combined for eight hits and six RBIs in St. Lucie's 13-2 rout of Charlotte at Charlotte Sports Park on Wednesday. Becerra went 5-for-5 while Urena plated a career-best five runs. "They've both been swinging the bat great the last three days," Rojas said. "Their pitch selections have been really effective and that has really been the big part of the results in our hitting in each game." After amassing a career-high five-RBI game Monday, Becerra collected four singles, a double and was hit by a pitch Wednesday. He raised his batting average to a Florida State League-leading .335 after shaking off a 4-for-28 slump in mid-June. "He went through a struggle in parts of June, but apparently he's been finding himself again," the skipper said. "He's been relaxing and slowing things down again. Just learning about that stage a young player goes through when you go through a little bit of slump. He's put together some good at-bats recently." Urena, meanwhile, has been battling through a "tough year," according to Rojas. The 21-year-old infielder was batting .186 on June 25, but has pieced together three consecutive three-hit games. Wednesday's five RBIs gave him nine in the three outings, accounting for one-third of his season tally. "He made some loud outs and had some ups and downs, more downs than ups," Rojas said. "So for him to be in the three-day stretch hitting the ball like that, it's a good thing to see. He's got the bat potential and can play a lot of positions, so for us to see his offense move the way we expect it to in the last three games, it's just a really good thing to see." Urena plated his first run of the game in the second inning with a sacrifice fly that scored Becerra. His triple to right field in the fourth knocked in Michael Katz. In the seventh, the designated hitter hustled for an infield single and the third baseman lined a single to short to drive him in. The next inning, Becerra singled to center and he crossed the plate on Urena's two-RBI single to right. "Earlier in the year, I thought [Urena's] discipline wasn't the best," Rojas said. "He was chasing a lot of pitches and his timing was really off. But he's been correcting those things as the season is progressing and we really encourage him and all the guys to keep doing what they've been doing when they are really on point. Right now for him, it's just staying at that consistent level with his mechanics and pitch selection and the balls will drop. And in the last few days, no one has been able to catch the ones he hit yet." New York's No. 25 prospect John Mora collected three hits and drove in two runs, while Kevin Taylor belted a two-run homer and Katz doubled twice. P.J. Conlon (1-0) hurled shutout ball through six frames. The South Atlantic League All-Star ended up giving up two earned runs and five hits and walk through 7 2/3 innings. He struck out four. Kelly Secrest yielded two hits while wrapping up the final 1 1/3 frames. Michael Peng is a contributor to MiLB.com. Follow him on Twitter @MichaelXPeng. This story was not subject to the approval of the National Association of Professional Baseball Leagues or its clubs.